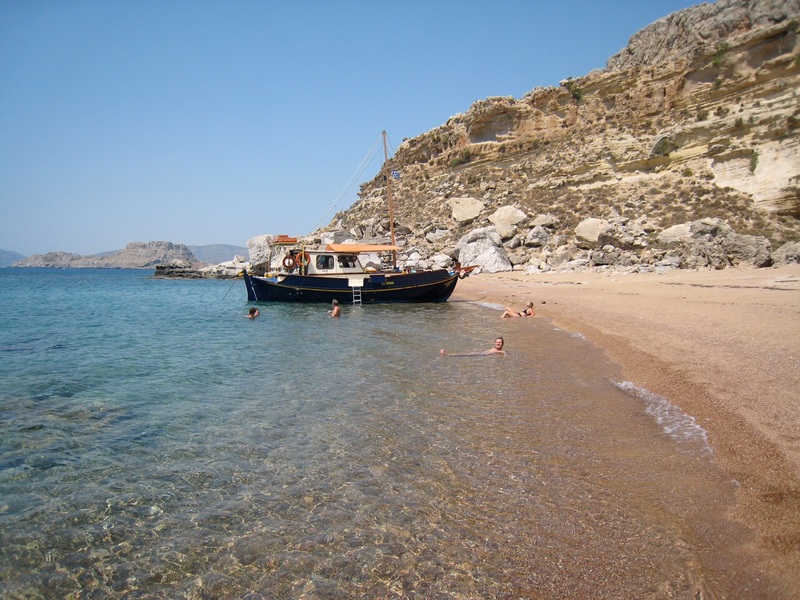 Our traditional boat “Monachus” departs from Kolymbia once a day and cruises along the east side of Rhodes Island. Your Captain and Guide will be Nikolas, equipped with naval experience of more than 20 years. His boat, able to carry up to 25 people, is the best way to explore several beaches in one day and places that only few visitors are privileged to see. During the trip we are going to have 4 stops for swimming and relaxing. Traganou, Anthony Quinn, Ladiko, Tsambika, Stegna, Agathi, Red Sant, Saint Paul beaches are scheduled. Family atmosphere will be the main advantage of your cruise trip with Captain Nikolas. His linguistic repertoire includes fluent German, English, a little Italian and French and of course, Greek. Not only will he guide you, but will also offer you traditional Greek food and fruits to take off your experience in Greece. 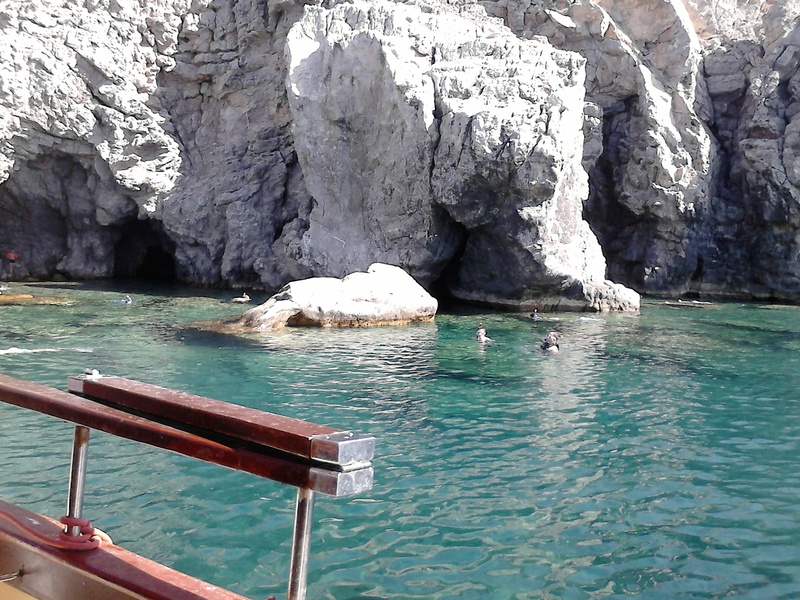 Our nautical experience, consistency, reliability and knowledge in boat tours around Rhodes ranks us among the best. Thus, we invite you to come along with us and we guarantee you a safe and unforgettable journey. Early booking is advised to avoid any disappointment. We offer you the possibility to enjoy a daily cruise only with your friends! A group of people can book the boat for special occasions. Throw special parties, celebrate your birthday or give a gift to your employees! Your wedding should be a memorable day! Rhodes is a sun-kissed place with many romantic places. 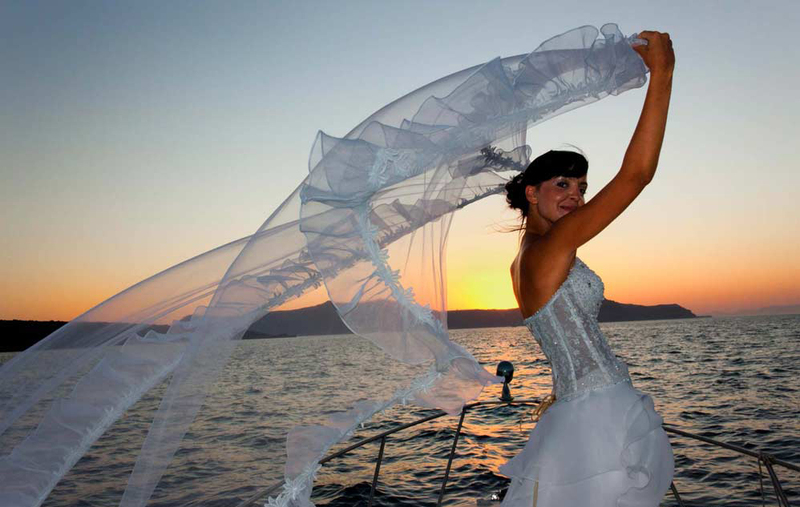 Wedding on a boat means that you can select a beach, a coast or a beach without access from the land to perform the Mystery. Ask us for more ideas!